It’s birthday season at the Thomas house! Somehow we’ve managed to pack all four of our birthdays into the first four months of the year. My hubby’s big day was last month, and now it’s the little guy’s turn. Elliott, my baby boy, is turning 1 this week! With his party taking place on Saturday, it’s definitely time to get the invites sent out. 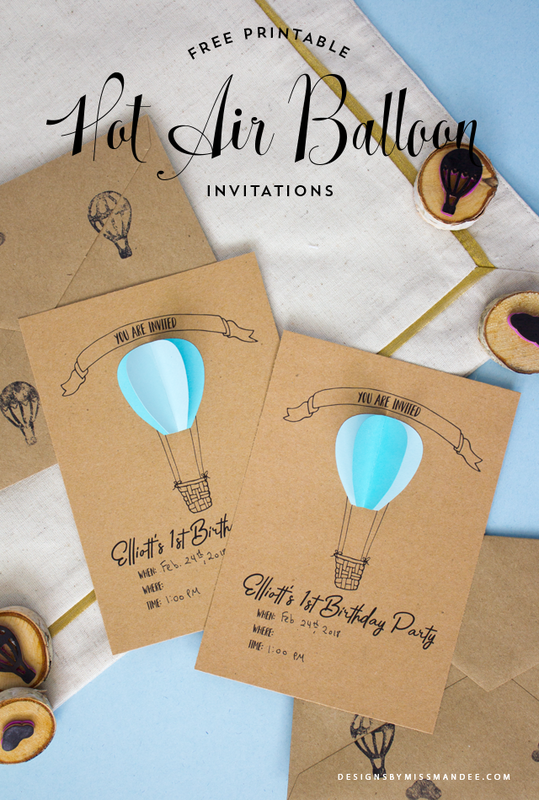 Check out the hot air balloon invitation design I came up with, and download it for yourself! When I asked Elliott what theme he wanted for his birthday party, all I got is, “Babababa.” So, since he seemed impartial on that front, I decided to go with hot air balloons—why? Because he’s one and it’s cute. For this design, I got to include both hand drawn elements and a little die cut as well. The cards are editable, so you can type in the title for your own event before printing them off. The font I used for “Elliott’s 1st Birthday Party” is called Bahagia Typeface, and you can get it for free. To create the balloon piece, I simply cut out the design (using my Cricut, but you could do it by hand pretty easily as well), glued one flat to the card, then folded another one in half, hot gluing it to the middle. 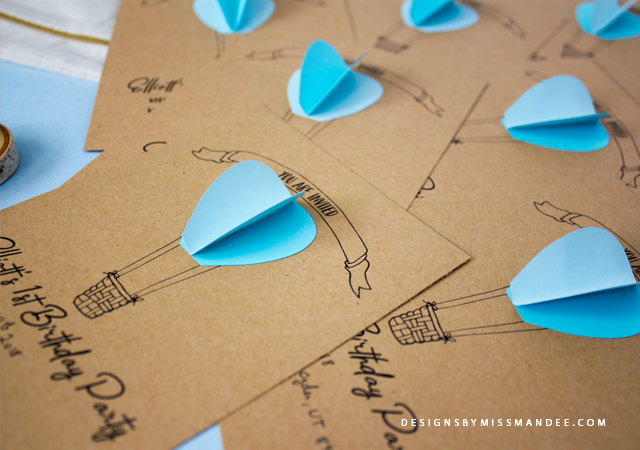 If you are planning a hot air balloon themed party, or just a big fan of hot air balloon motifs, be sure to stay tuned! I’ll have even more hot air balloon freebies headed your way in the coming week. 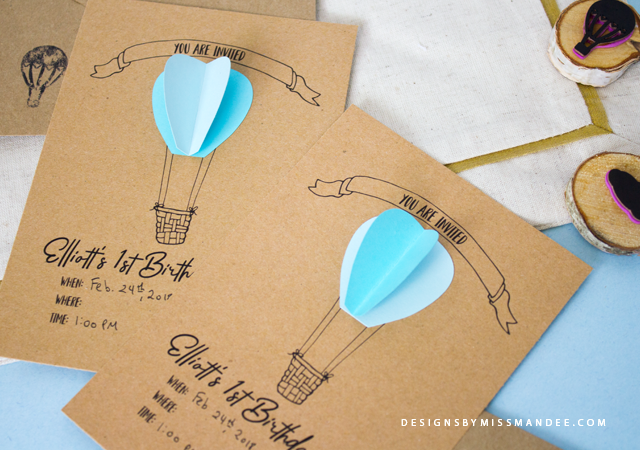 Enjoy these cute hot air balloon invitation designs! And if you have any good (non-toy) gift ideas for a one-year-old, send them my way. Mandee, thanks a lot for the post.Really thank you! Much obliged.